To me, riding a road bike is one of life’s great pleasures and you don’t have to miss out just because you’re short. I’m a relatively short woman at 160 cm (5 foot 3 inches) but I’ve met quite a few female road cyclists who are shorter than me, and one of them mentioned to me that she, and other short stature women have trouble finding bikes to ‘fit’. 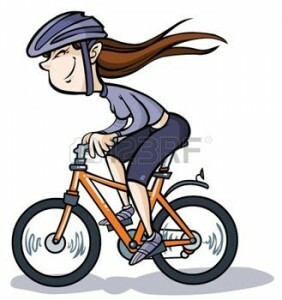 From my perspective the women’s specific bike becomes more important the shorter you are, so women who measure in at 5 foot or below should really consider a women’s specific bike. Thankfully plenty of bike manufacturers have responded to the short end of the market and many produce extra small road bikes. To give you an idea of the sizing Specialized produces a sizing chart which suggests that a 44 cm Dolce, Ruby, Alias or Amira (the women’s specific road bike models) will suit a women who is 143-152 cm or 4”8’ to 5”0’. I’ve done a bit of research and here’s a list of women’s specific bikes I’ve found in this nice compact size. This list is not exhaustive but will give you an idea of the bike manufacturers who are committed to making bikes for shorter women. Specialized – all Specialized women’s road bike ranges including the Dolce, Ruby, Amira and new Alias tri bike all have a 44 cm in all models. Trek – Using a selector on Trek’s website I identified nine women’s specific road bikes that come in an XS size from a possible 17 women’s road bikes in the range. Cannondale – Cannondale obviously values its short female customers. All its women’s road bikes including the Supersix Evo, Synapse and CAAD10 models come in a 44 cm size. Avanti – all Avanti women’s road bikes in the Vitale and Questa ranges come in an XS size. Giant – Giant is also committed to manufacturing bikes for shorter women. Its Envie and Avail models all come in an XS size. Felt – Felt is also committed to the women’s concept. Its ZW range of five women’s road bikes are available in a size called Petite which I assume lines up again other company’s XS models. Scott – Seven Contessa women’s road bikes come in XXS size. I’m not sure how that size lines up against the other manufacturers’ XS frames but I would assume it’s similar. Once you’ve drawn up your own shortlist the hardest part will be finding a bike shop with an XS sized women’s bike in stock that you can take for a test ride. There is one women’s bike shop in Sydney – Giant Sydney and the nearby Clarence Street Cyclery has a dedicated women’s section, both in Clarence Street in the CBD and they’d be a good place to start if you live in Sydney. You could also keep a look out for ride test days that a number of manufacturers run like Specialized, Trek and Giant. They usually have a range of bikes and sizes for potential buyers to test. You could also try ringing around a few bike shops to see what they have available for a test ride. For example, the bike shop where I work – Ashfield Cycles currently has a 44 cm women’s Specialized Dolce on the shop floor. You never know your luck. Unfortunately there are still desirable bikes that don’t come in extra small – I have bought a Trek Boone this year which I love; luckily I am 162cm and with some adjustments the smallest size fits. I am not aware of a women’s model in this group. I just hope osteoporosis doesn’t shrink me any more!